Are you ready for business? The first step to join our programs is to attend an Orientation. Join us at Orientation to learn more about Ventures’ small business programs. You will receive an overview of our course offerings, capital products, incubators, and resources. Afterward, you will have the opportunity to apply for our cornerstone eight-week Business Basics Course that teaches you the fundamental principles of running a business. 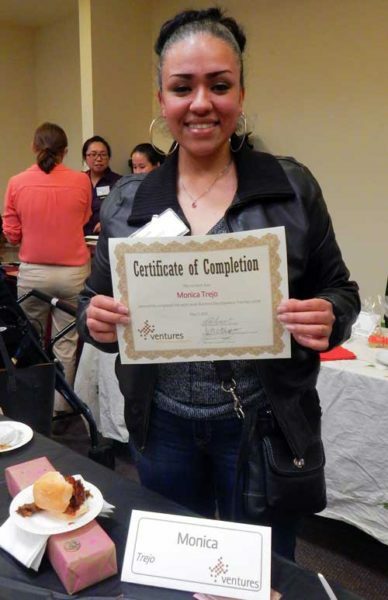 Ventures hosts Orientations in South Seattle and in the Puget Sound area throughout the year. If you live north of Seattle, we encourage you to register for the Shoreline Orientation. Thank you to our partner Hopelink Shoreline for hosting our Shoreline course. You are welcome to print and complete the Business Basics Course application at home to bring to the Orientation. Paper applications will be available at Orientation. *Space is limited – attendance at Orientation does not guarantee acceptance into the Business Basics Course. Aviso: ¡Cupo disponible en el curso en español!